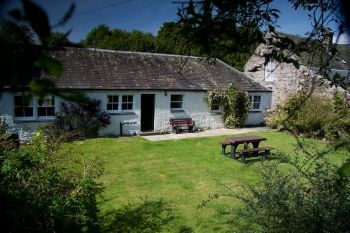 2 Bedroom, 1 Bathroom Self-Catering Cottage in Newton Stewart location in Dumfries and Galloway, Scotland. Activities on offer nearby include: walking, outdoor Pursuits - 7Stanes Mountain Bike trails, Zip wire, "Human slingshot" grass sledging, Galloway Hills, Fishing, Paddling, 18 hole golf course. Mountain boarding..